One of the most thrilling co-op scenarios I’ve ever played. This clever crime caper is most welcome. Worth seeing through to the end. The team have really focused on telling a neat story in an interesting way. 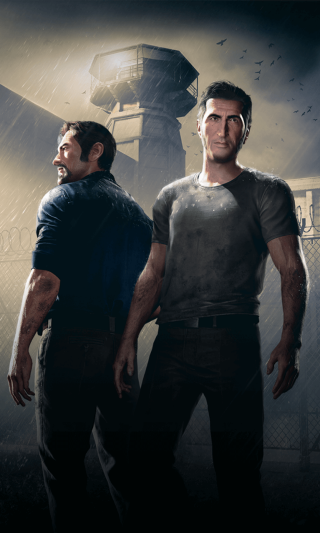 A Way Out is a must-play. A memorable, variety-packed cinematic adventure. Experience varied gameplay with a friend on the couch or online. Sign up today to receive the latest A Way Out news, updates, behind-the-scenes content, exclusive offers, and more (including other EA news, products, events, and promotions) by email. You've successfully signed up to receive emails about A Way Out and other EA news, products, events and promotions. Unsubscribe at any time by changing your email preferences. You’ve already signed up for A Way Out newsletters with the above email. Please check your spam folder for the above email. If you still have troubles receiving the emails, please contact EA.